CIHF, a partnership between the School of Hotel Administration (SHA) and the College of Human Ecology (CHE), is believed to be the world’s first academic center to combine hospitality, health policy/management, and design. 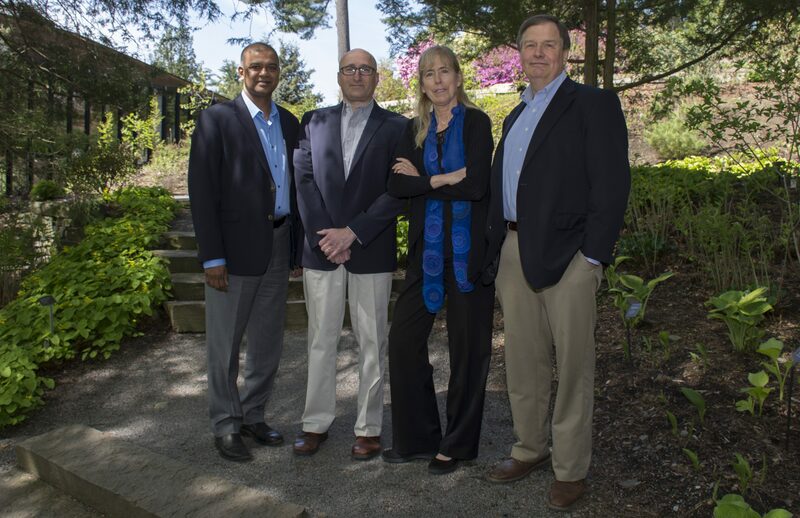 Underscoring the schools’ joint leadership, Rohit Verma, Dean of External Relations for the SC Johnson College of Business, and Rachel Duniform, the Interim Rebecca Q. and James C. Morgan Dean of the College of Human Ecology, are co-chairs of the governing board. Senior executives from several companies serve on the CIHF Advisory Board. CIHF is led by Executive Director Brooke Hollis MBA ’78, Associate Director of CHE’s Sloan Program in Health Administration; Associate Director Mardelle McCuskey Shepley, FAIA, EDAC, LEED AP, CHE Professor of Design and Environmental Analysis; and Associate Director Heather Kolakowski , Lecturer in Food & Beverage Management, Cornell SC Johnson College of Business. Nikki Cerra is CIHF’s program manager and is supported by Melissa Carlisle (Corporate and Foundation Relations). Faculty members from Cornell and other universities and industry executives serve as Faculty Fellows, Academic Scholars and Industry Scholars. CIHF hosts visiting scholars from around the world and supports the student organization, CUHF.